Sensi Star, just about since its inception in ‘95, has been an award winning indica strain. 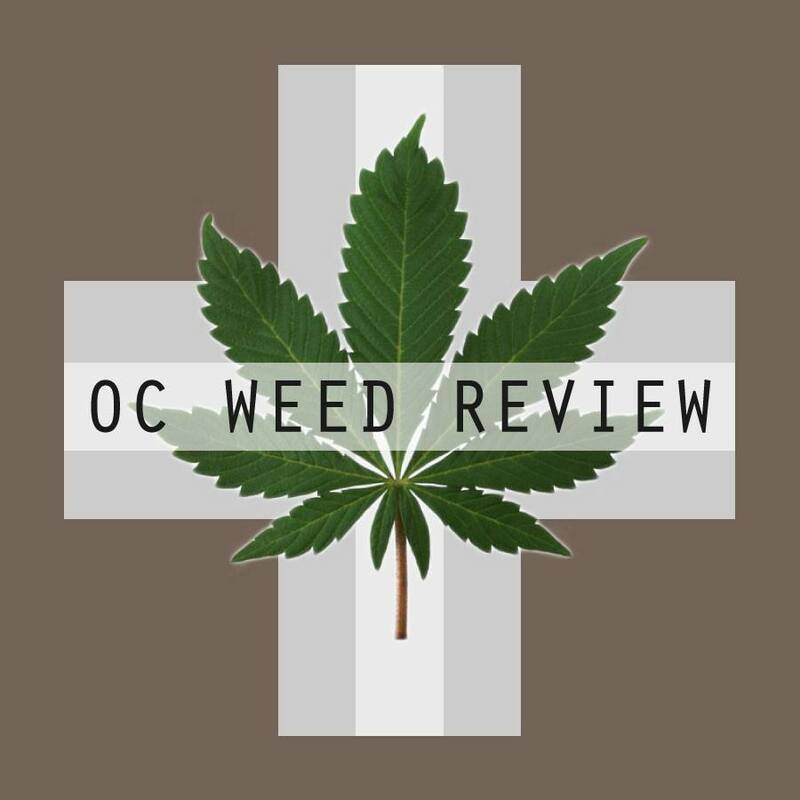 Over the years it has taken home numerous wins at the Highlife Cup, the Cannabis Cup, the Growers Cup, Spannabis, and even the coveted High Times “Plant of the Year” in 2003. Even though I’m not normally a fan of indicas, I have heard too many good things about this strain not to bring it home with me. And I’m glad I did. The buds of Sensi Star were lumpy, imperfect cones, marbled in light and dark green hues. Pale, almost yellow hairs sprout across the nuggets. Sensi Star is covered in dense, white crystals that significantly lighten the plant. Aesthetically, it is a very intriguing strain. The buds are sticky to the touch, and the smell lingers on the fingertips after handling. Starting sweet, the taste ends skunky and exotically spicy. As with many indicas with Afghani Kush as their base, the pain relief is premier. Quickly upon medicating, their is a loosening of tight muscles and an easing of pain. There is also a lightness in the cranium, almost a floating, that is perfect for migraines or headaches of any seriousness. This strain gives great overall body relief; however, unlike most indicas, Sensi Star won’t couch lock you or put you down to sleep. This is due to the rumoured stripe of an unknown sativa in its genetics. Instead, it is a delightfully caffeinated body high. Perfect for daytime pain relief. 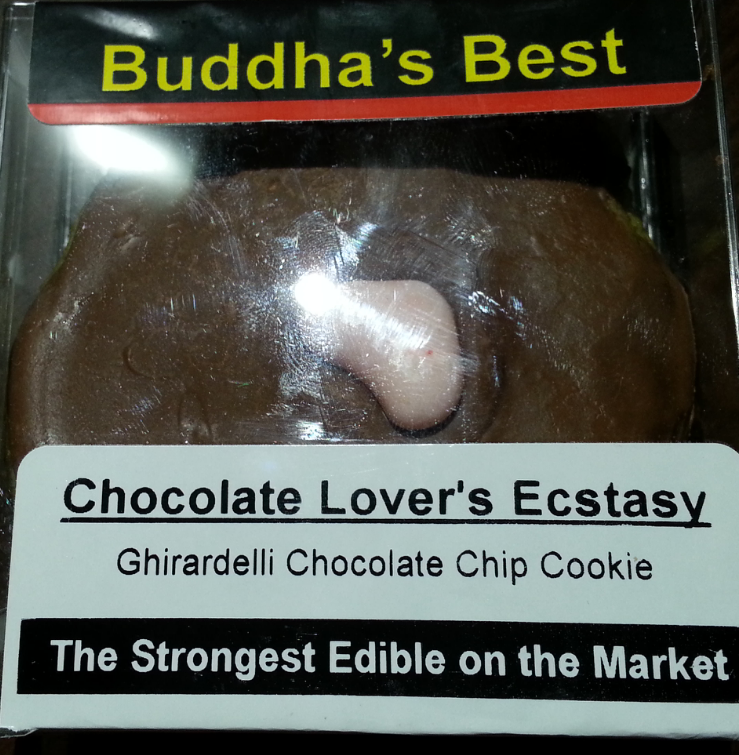 Buddha’s Best claims to be the strongest edible on the market. I’ve eaten 3X Bhang Bars and whole Cheeba Chews and various cookies, lemon bars, and brownies in single sittings, so I see this very much as a challenge. It is 4 doses, so eating half of it right off, I expected it to kick in quickly. Although edibles take one hour to fully take effect, you will not peak for several hours. I hadn’t eaten, so the effects began after about twenty minutes. I was already a bit medicated, but when the edible slowly crept in, I noticed it. I put on a movie and settled down in my chair. The packaging only specified that it contained 200 mg of THC, so I wasn’t sure exactly what effects to expect. Immediately I began to feel weight in my shoulders and legs. There was lightheadedness that wasn’t overwhelming. At first most of the high is in the body and is effective for both pain management and muscle relaxation. This is followed by a dryness and droop in the eyes and eventual redness. Edibles make me especially drowsy, and I make sure never to drive or need to be alert for quite some time when I use them. The body effects are followed for me by chattiness and sociability. My preferred edibles use 50/50 hybrids, so I can treat all my symptoms at once. This seems to be the case with the Buddha’s Best. However, unless clearly stated by the manufacturer, it’s impossible to tell. About three hours in, a narcotic body buzz takes over. After a long day working on my computer, my shoulders and wrists are aching to the bones. Although the pain is still there, it’s been alleviated quicker and more thoroughly than with a pair of ibuprofen. The high would eventually level out with a warm body buzz and some disconnect, which is nice after long hours put in at any job. The high effects lasted over 5 hours, and by using only half the cookie, I was able to medicate again the next day. For the price, you get four suggested doses lasting about 6 or so hours each. The chocolate chip cookie is thick and doughy, and although there is an after taste of cannabis, the Ghirardelli chocolate chips and frosting more than mask most of it. It is a damn good cookie, and regardless of whether or not I was medicating, I’d eat it just on taste. Enjoyed with a cup of coffee or glass of milk, it is a perfect pairing. It is made using all natural ingredients and, of course, cannabis butter, which I find to be less overwhelming than hash oil in edibles, so you should feel comfortable medicating daily with Buddha’s Best if needed. As to whether it is the strongest edible on the market, they certainly have one of the highest mg of THC per dose numbers in the dispensaries. Nevertheless, whether using small doses for daily ache or arthritis management or larger doses for more moderate pain, the Chocolate Lover’s Ecstasy will help you relieve your pain and offers a nice mood elevation to ease you through your recovery. $12 per edible from One Love in Santa Ana.